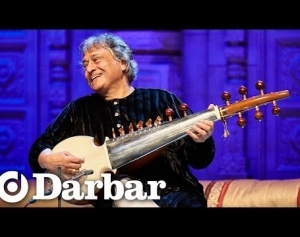 Amjad Ali Khan brings a new and timeless interpretation to the sarod repertoire, being widely credited with reinventing the technique of playing the versatile and melodic string instrument. 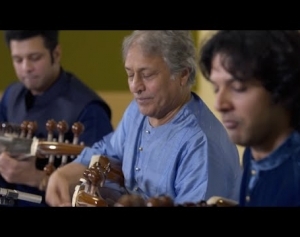 Born to sarod maestro Haafiz Ali Khan, he belongs to the sixth generation in the legendary line of the Senia Bangash School. See why audiences round the world have fallen in love with his gentle and fluid playing. 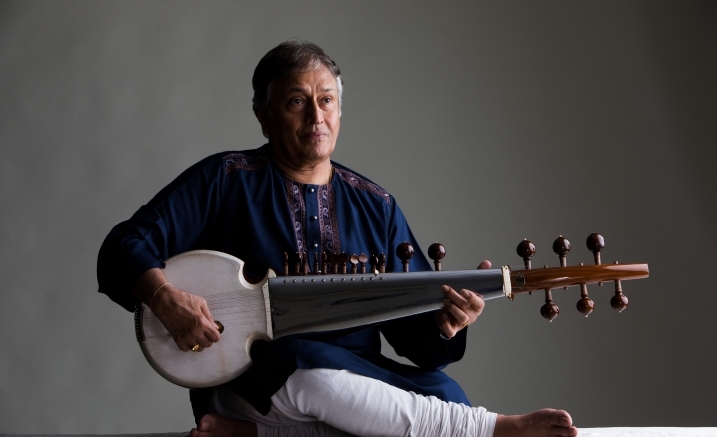 Amjad Ali Khan will be performing in trio format, with his sons Ayaan Ali Bangash and Amaan Ali Bangash, who are also renowned sarod players.